In the past i have only experiet to be a Aquarium owner and then i have seen on the YouTube-Channel "AntsCanada" how fantastic, spectacular, great and demanding it can be to be an Antkeeper. I Love it to crate Biotope's, Habitat's etcetera. And here now to my questions about my Projekt i'm at planing. -what you can Tell me about, pros and and cons of acrylic/glass? 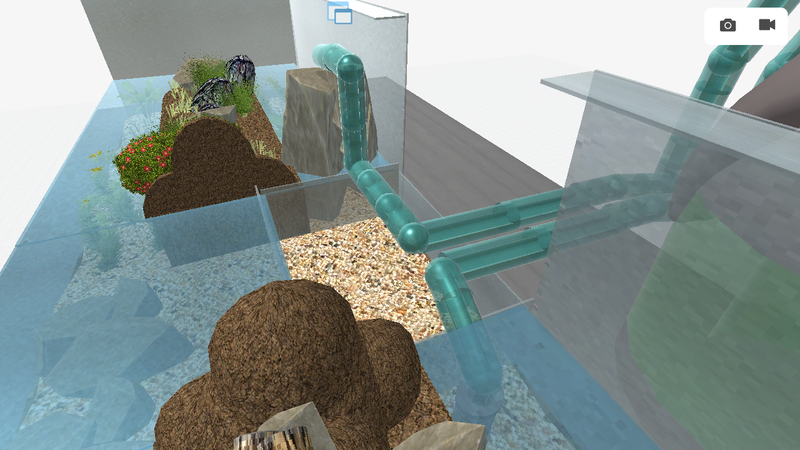 -do you think it is posible to create a Vivarium Like i planed? - what should i also keep in mind? Most of the ants found in Germany are spread all over Europe. Lasius niger, Formica fusca and Formica sericea, Camponotus ligniperdus and Camponotus herculeanus, and Tetramorium caespitum are all very common and great choices for any kind of natural setup. 1. is the green thing the pipes are going into a water pump? 2. is that piece of glass or acrylic over the middle supposed to be a bridge? 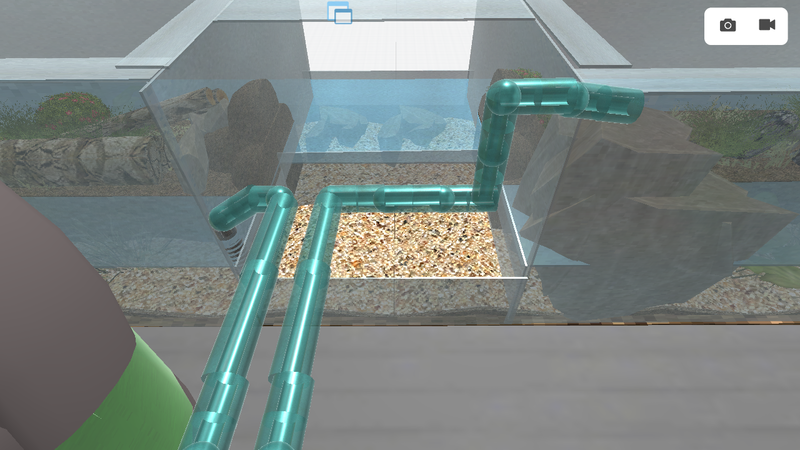 3 how will the two aquariums be connected? 5 how are you going the keep the soil from getting wet. 1 generally acrylic is stronger than glass but it usually us a little less clear and can get scratched which is a pain to look through. Glass is great for viewing through but just a little more breakable but if you have aquariums you should not have a problem. also it is so much more easier to drill a hole through acrylic than glass. 3 it's hard to say but i think that ants that don't drown as easily and ants that like humidity. i would recommend a Formica species maybe just because of their size witch might help with them staying a float and being able to break the waters tension to climb out. I just know a lot more about ant species than creating natural habitats like that. I'm really glad for every questions, if i do Not have right now a answer to them, they could get a unexpected Problem. Yes, I wanted to plan a constant flow. Not for the ant's, No. 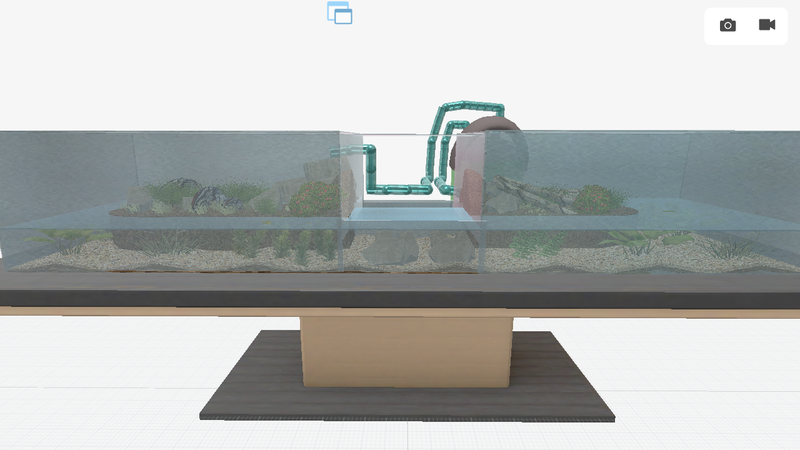 The reason for that bridge is, If i try to create this Aquarium/Vivarium the Most Fragile Part should be the middle bottom Part. With this little Part it should take some stress from these areas. 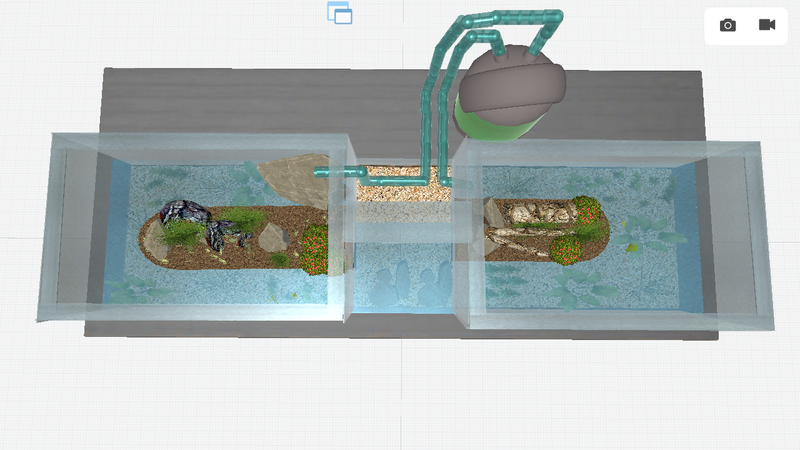 In the best Case, i wanted to separate the Life on top of the water and Connect only the water living creatures. 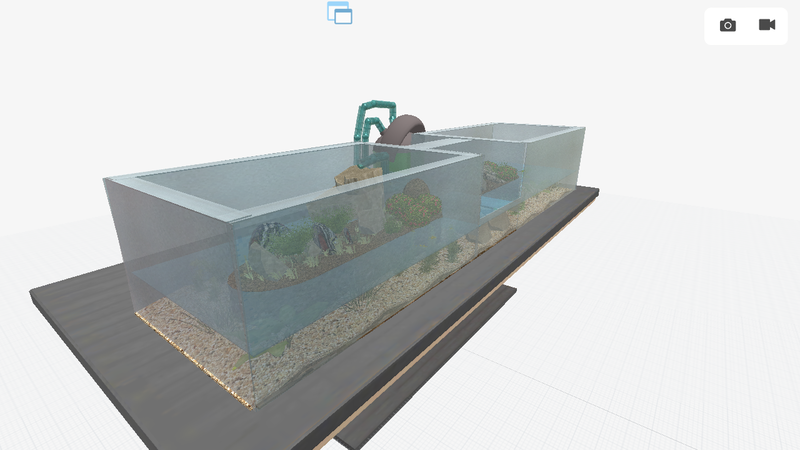 If this isnt a Option, i'll be do this Like on AntsCanada's YouTube Channel with the "selva de Fuego"
it looks good then all i have to say when you make this put the middle sides up a little just in case so your fish don't jump out because some will do that, but you have experience with aquariums while i have little.